There’s a famous quote that says, “Culture eats strategy for breakfast.” We know this wholeheartedly. As such, one of the keys to success in advising our clients is that to be successful means understanding how to be successful in the culture of our client’s organization as a starting point. Once done, advising our clients successfully becomes a natural and progressive process. And we don’t just create a plan and walk away. We stay with you until the plan is executed. Contact us to learn more. Many times corporations, cities, counties, school districts, water utilities and electric cooperative utilities want energy experts to help them create an energy strategy or plan that helps them articulate and quantify why, how and what they want to accomplish their energy generation, usage reduction, sustainability goals or energy independence goals. Our team has been working with our clients to create these plans for more than a decade and would be happy to engage you in the process. Our clean technology industry (solar, energy efficiency and utility) clients continue to grapple with business strategy in a constantly changing industry that must remain nimble to succeed. Many of our clients want to enter new markets, exit declining markets, create new business units or determine the best way to gain market share in new or existing markets. Whatever your situation, we can help as industry experts who have been in your shoes and implemented strategies effectively time and again. We have helped a variety of our clean technology clients build origination and development organizations that dramatically increase revenue and profitability by selecting the right approach. We have also recommended that many clients change their go-to market strategy, reduce their market presence or exit markets altogether to focus on more profitable business opportunities that better leverage the organization’s true core strengths. Whatever the situation, we understand how to help you acquire the right talent for structure your organization, develop and install systems, processes, tools and train and mentor your team to help improve the bottom line. The clean technology industry is going through mass evolution and consolidation, especially in the solar space. We have helped organizations acquire several companies and are aware of several others that want to buy and others that are ready to sell. There is as much art as there is science to succeeding in this space…. such as avoiding the wrong companies, properly valuing company worth, locking down your qualified targets and quickly negotiating the right deal structure, and terms and conditions. And then – traditionally the hardest part – integration…the place where most failure occurs. Once the ink dries, successful integration to assure value is unlocked from the acquired company and safely transitioned into the existing organization. We help our utility and investment clients develop or evaluate buying solar projects as advisors and owner’s representatives. 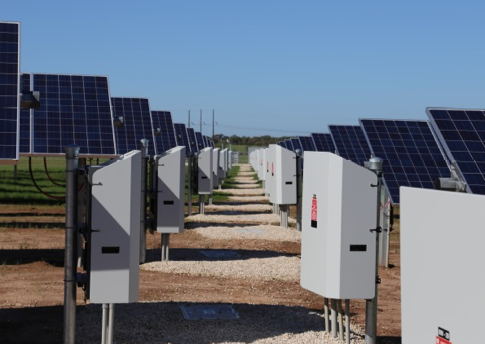 Qualification and development of the right size, type and location solar projects that will maximize your energy generation and minimize your energy costs for the long term. Evaluation, due diligence and qualification of solar projects you may be considering purchasing from others. Financing your solar project to minimize debt impact and maximize tax benefits. Negotiating and managing financing, engineering, procurement, construction and service agreements. Procuring and managing the engineering and construction of your solar project. Overseeing operations, maintenance, monitoring and general service.